Guest posting is a hot topic in the blogging world, raising questions about how the genre is used. Some find guest posts to be excessively promotional, while others think that the format allows sites to curate a collection of specialized expertise on topics of interest. If you don’t know a lot about a topic, isn’t it wise to bring in a more knowledgeable voice? On the opposite side of the same question is the issue of whether or not you should offer your voice as a guest poster on other sites. Does writing elsewhere draw readers away from the work on your own site? While that’s an unlikely outcome, many blogs have turned the useful and honorable role of the guest post into a site of contention. Avoid the guest post battle trap, and focus on the value of these posts by curating the best expert content for your webpage. By harnessing the full impact of guest posts, you’ll draw in a wider audience, build trust among readers, and improve your site’s reputation as the place to go for high value content. Read other blogs: One excellent way to find influencers in your industry is to read other blogs as well as more widely recognized industry publications. By reading these other sources, you’ll be able to pinpoint individuals who are writing important articles that might be relevant to your site. Make sure that you’re writing down these names and keeping track of any information that you have about them. This will make them easier to contact later. 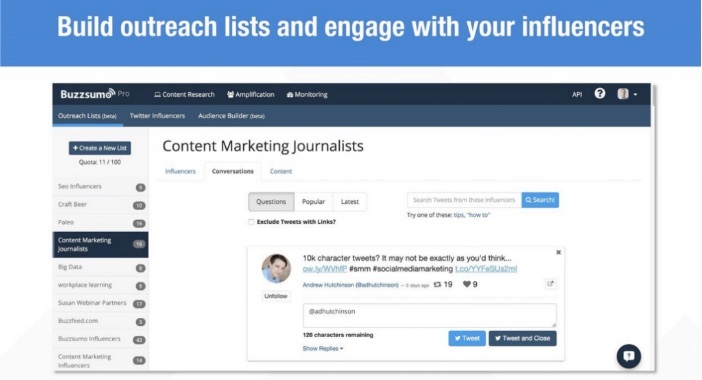 Use automated tools to find influencers: There is an array of efficient tools out there designed specifically to help you find and engage with influencers. A few of our favorites are BuzzSumo, Traackr, and NinjaOutreach. Monitor your curated content: Review the content you’ve curated to identify prominent authors and experts in your industry with a large following. Curate and share their content: Curating content from influencers is a great way to get their attention and start building relationships. It helps bring them additional traffic, increases their social media followers, adds to the discussion they are already creating to make it more impacting, boosts SEO, and strengthens their overall online authority. Reach out: Actually taking the leap to contact one of these thought leaders can be scary at first, but it’s important to recognize that making these contacts can make the difference between breaking out of the minor leagues and into the big leagues in your given field. The extra traffic and high quality content that follows popular guest posters is highly valuable for this reason. Stability of voice: Part of the reason why your site has loyal readership is connected to the ongoing stability of voice. Readers enjoy the way that your content is written and return, in part, for that familiar voice. That’s why you should choose guest posters who have a similar writing voice to yours. This continuity will help your readers to feel comfortable with the material presented and will prevent your blog from appearing disparate and poorly planned. Offer a clear introduction: It’s especially important to offer a clear introduction of your guest poster when you work with writers who share your style. Preface their posts with a short introduction that explains who they are, frames why you’ve invited them to write here, and generally orients readers to the fact that something new is happening in this post. Since readers typically skim past the author component of a given blog post, this help to keep everything clear. Leave your audience wanting more: One great analogy is to think about guest blogging as your favorite, long-running television show. Just like “guest starring” in a popular TV show, one appearance or fleeting cameo won’t do much for you unless you absolutely crush it. According to Online Marketing Strategist Tommy Walker, you should visualize “With [guest posting], you should absolutely try your hardest to write something where people demand you come back. Collaboration is key: Work together with your partners to develop a plan for any guest posts. Can you get a great writer to commit to a five-column series for your site? If so, that’s great. That kind of series gives your readers a chance to familiarize themselves with the guest writer and their work and helps you to build a stronger relationship with them. It’s more likely that you’ll be able to work with your guest writer again if you’ve established a strong relationship. Find new places to guest post: On the other hand, as a guest poster, you may not want to commit to a single location, lending too much of your expertise to a site that isn’t yours. Additionally, remaining with a single blog limits your audience: you can only gain so many new readers when you’re writing for the same audience all of the time. For that reason, you may want to spread your guest posting energy around more, restricting posts to the same site to one or two in a given period of time. Interview your guest poster: If there are some topics that you’d like your guest writer to cover, but you’re uncertain about their writing style or are hoping for a wide-ranging post, consider interviewing your guest instead. This can help your site to avoid any problems with excessive self-promotion by guest writers that can harm your site rankings. It also gives you more control over what ends up in the final post without you seeming like an overly officious editor. In some cases, guest posts can be more of a drag on your web presence than a benefit to your knowledge base and audience pool. But, how do you know who to work with and what to publish? Research: In some cases, you can’t know in advance which guest posters are less beneficial, while in other cases, research will quickly reveal that a particular writer runs a blog with poor-quality backlinks or low-value content. Backlinks are important, but as search engines become savvier, poor-quality links become more of hindrance than a benefit. Guard against duplicate content: You also need to work with your guest writers to make sure that they aren’t duplicating content that’s already on your blog. If you’re bringing in a guest writer, he or she should be able to write about things that your site currently doesn’t have the skills to cover. Ask your guest writers to give you a general idea about what they’d like to write for your site, or ask them to write about a specific topic. They should be focused on your general content area but also be able to push the limits of your current work. Creating quality content consistently is hard. Leveraging guest bloggers, employee advocates and other contributors in your efforts is an effective way to publish more, relevant content consistently. It’s also a powerful way to drive more traffic and leads! 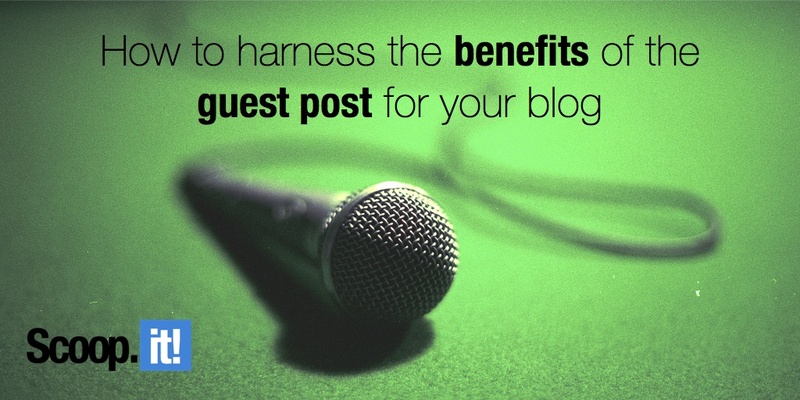 At the end of the day, guest posts should be an enjoyable aspect of your site or of your own work beyond your site. Work with people whom you trust, know your goals, and learn to recognize any red flags, and you’ll be well on your way to guest post success. Want more tips for maximizing the impact of your blog? 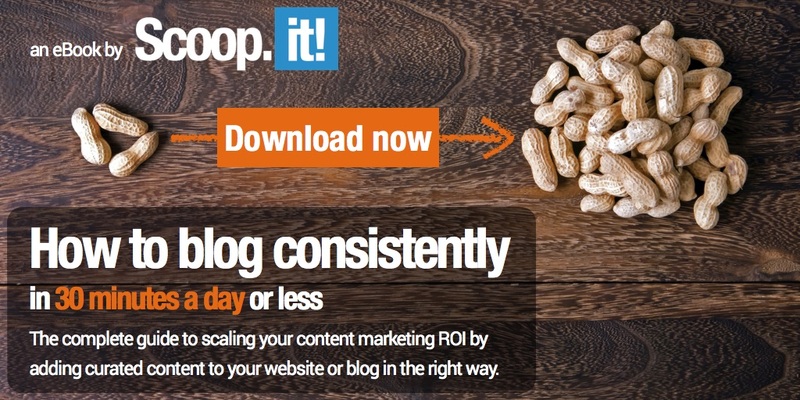 Read our ebook on how to blog consistently in 30 minutes per day or less. Anna is a freelance writer, researcher, and business consultant from Olympia, WA. A columnist for Entrepreneur.com, iMediaConnection.com and more, Anna specializes in entrepreneurship, technology, and social media trends.